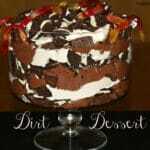 This is one special trifle for a that time when you need a special dessert! 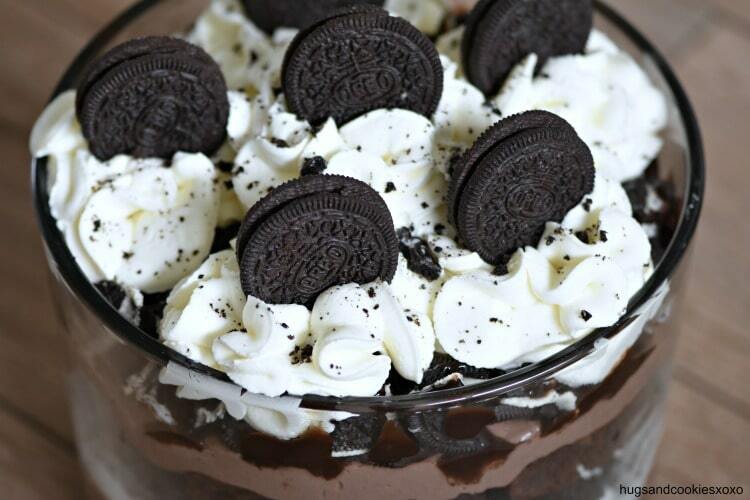 You have Oreos, brownies, cream cheese whipped cream and some chocolate pudding. 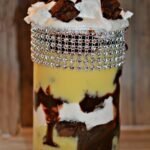 I tried out some Godiva chocolate pudding in this recipe and it was a huge hit. I even made it more decadent by swapping the milk for half and half. And it wasn’t only because I was out of milk! LOL I used homemade brownies in my trifle but you can definitely use a box mix to make them if it helps you speed up the recipe. 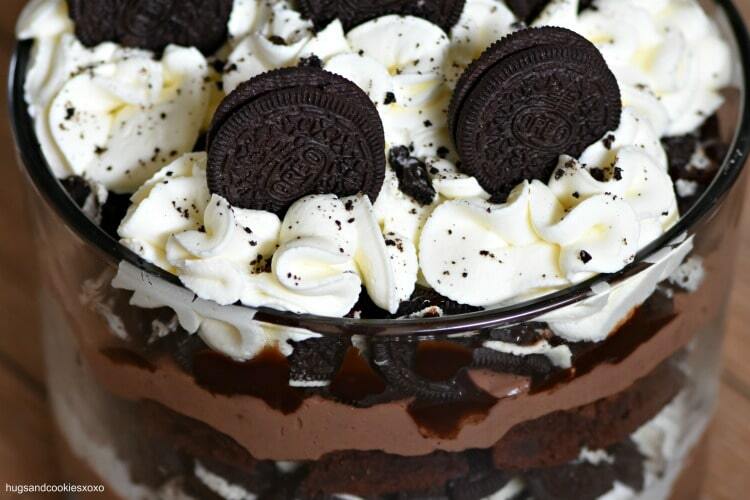 I hope you get to try out this Oreo Brownie Trifle soon! Make cream by whipping the heavy cream. Once soft peaks are reached, add the sugar and cream cheese and beat till smooth and thick. 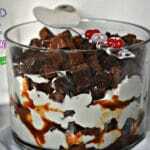 Line bottom of trifle bowl with half brownies. 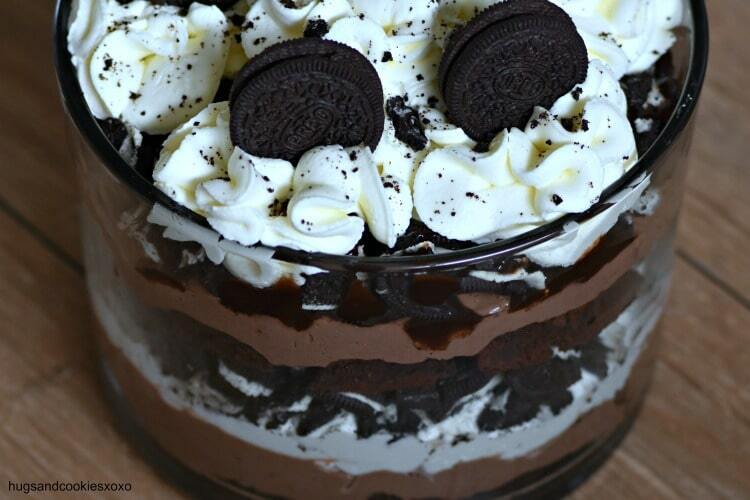 Top with ½ the pudding. 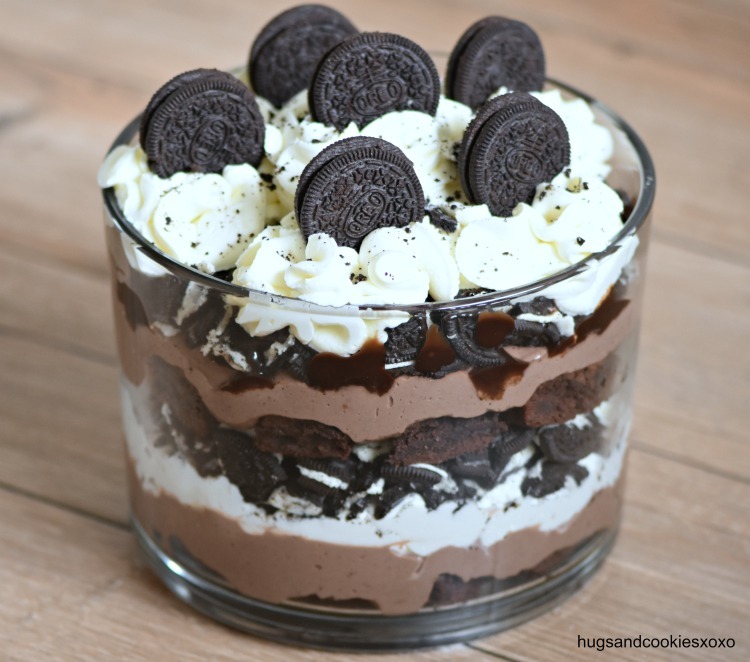 Top with 13 crushed Oreos. Add a drizzle of hershey's syrup. 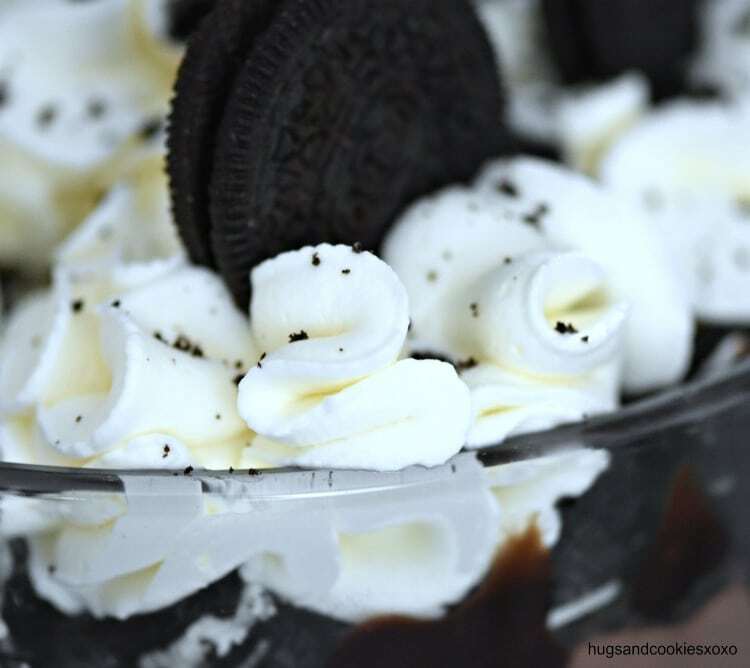 Pipe the rest of the cream on top and garnish with a few Oreos. Best served after a few hours or the next day. I’m Mayline from the Philippines I have discover about your recipe because Im planning to retire from my government service next year and collecting some recipes to go with my plan to have a Cafe bar. 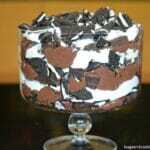 Hope to see some of your easy to prepare cakes & pastries. Is it instant chocolate pudding ?? I did not use instant-I made the regular kind.